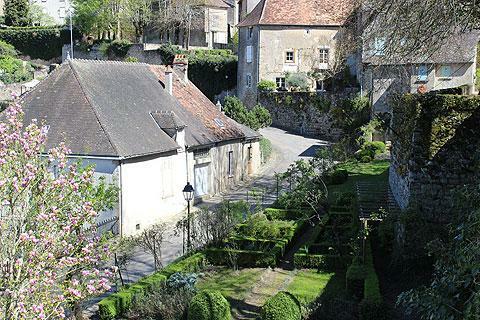 Saint-Benoit du Sault is a picturesque village on a raised hill overlooking a broad meander on the Creuse river. It is in the Indre department 20 kilometres south-west of Argenton-sur-Creuse and to the very south of the Centre region (near the borders with both Limousin and Poitou-Charentes regions). 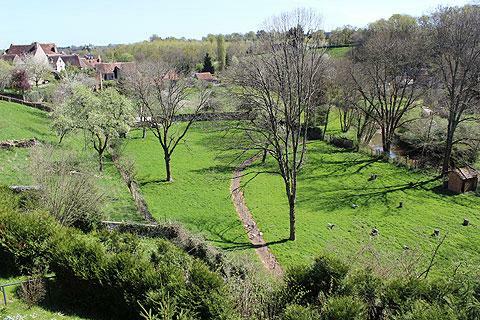 The village owes its origins to the benedictine monks who established themselves in the area around the 10th century, having chosen the site on a raised rocky outcrop because of its defensive advantage. 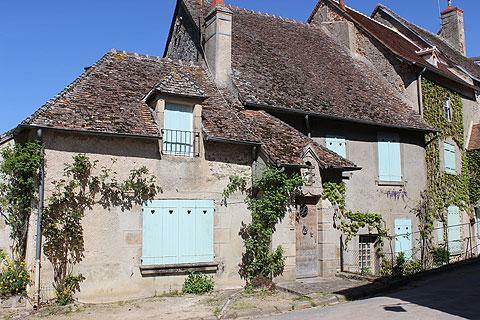 The village has been selected as one of the 'most beautiful villages of France'. 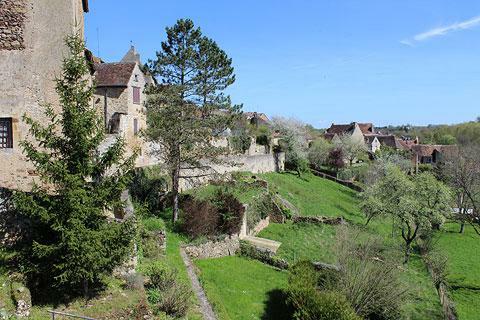 The village of Saint-Benoit-du-Sault that you visit today, with its pretty narrow streets of medieval houses, dates from the 15th-16th century, with the original village centre based around the church, the priory and fort, and some ramparts. Outside the fort area the historical village was surrounded by further ramparts, including the Grimard Tower. 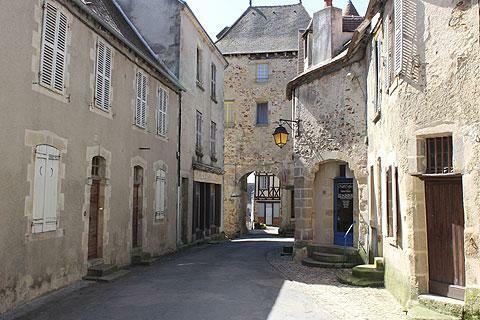 The streets around the fort are the oldest part of Saint-Benoit-sur-Sault and apart from the medieval houses, you can also see the fortified gate, built in the 14th century as part of the original defensive fortifications and the belfry (in a most unusual round tapered design). The main pleasure is simply in strolling around the village admiring the many small highlights that remind us of the history of the village. Half-timbered buildings glimpsed through ancient stone archways, narrow cobbled streets hemmed in by ancient houses with doors made the old fashioned way - with large nails, ornate stone lintels and unusual roof designs all combine to make Saint-Benoit-sur-Sault an almost ideal medieval village. 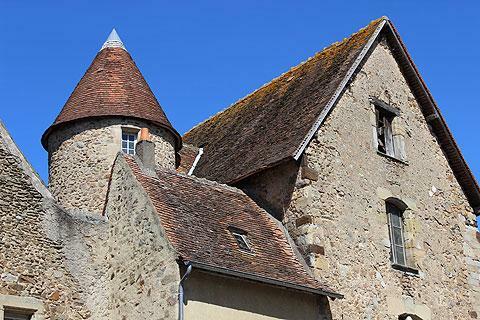 One of the more important houses here was built for the governor in the 15th century and is called the Logis du Gouverneur, and the small cottage called the Maison de l'Argentier is also very quaint. 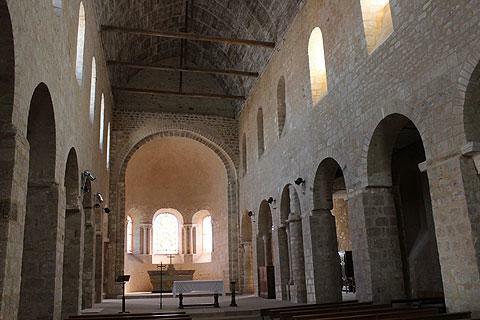 The Church St Jean Baptiste is one of the earliest examples of roman style architecture to be found in France and dates from 1020. 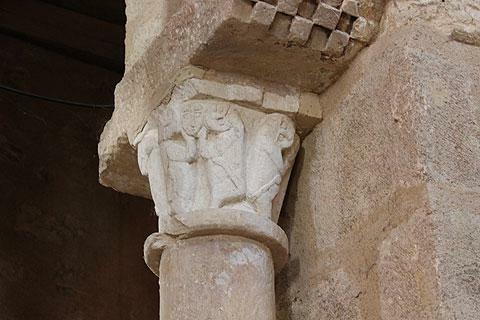 Inside the church you can see early examples of roman architecture in the capital stones and 10th century granite baptism font, and the numerous arches and windows. The priory, at the end of the same rocky outcrop as the church, dates from the 15th century. 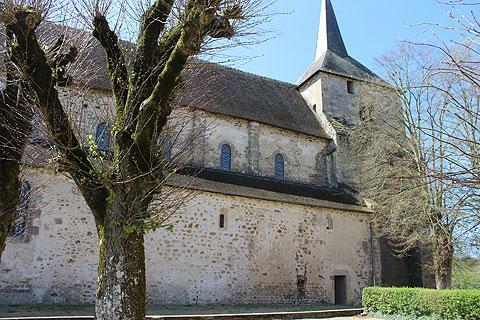 France This Way opinion: although the church is very ancient and includes romanesque architecture, it is perhaps not one of the most interesting of the roman style churches in the region. 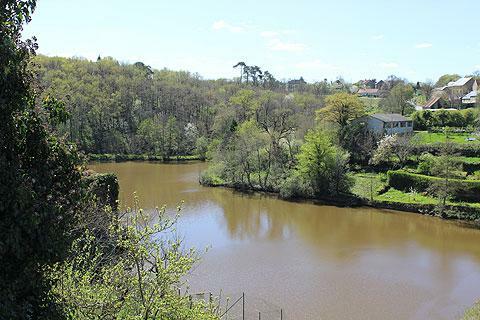 Also near the church you can see some well maintained gardens, and the raised position has an attractive view across the river. Be sure to cross to the other side of the river for the view back to the church and village. 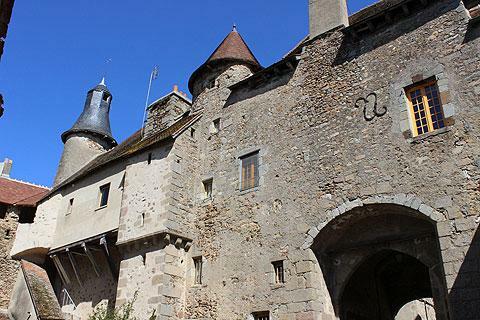 If you tire of the medieval buildings visit the newer part of the town, where you can see the surprising successful modern architecture of the gendarmerie and the college. 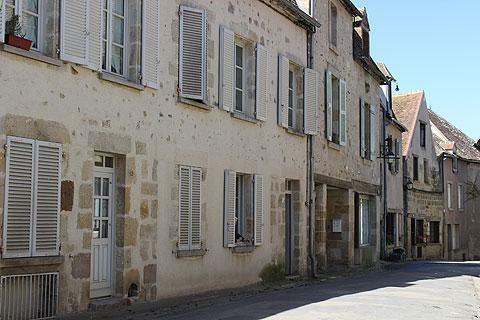 This newer part of Saint-Benoit-du-Sault is more extensive than you will find around most of the 'most beautiful villages of France', and has plenty of parking and other commerces. 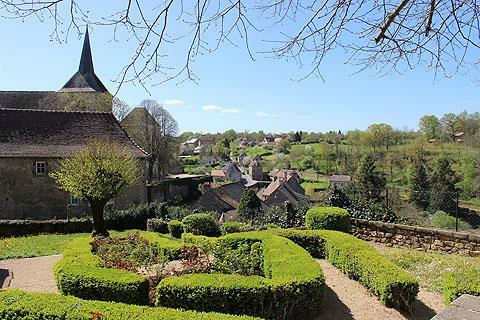 There are two interesting villages to visit to the north-east of Saint-Benoit-du-Sault at Gargilesse-Dampierre and Argenton-sur-Creuse: both are quite different in character and interesting to explore.